How do people use Social Media at Christmas? Most businesses post a christmas themed wall-post of some sort on Facebook. Individuals write on each others walls and tag christmas based photos. This is what normally happens at Christmas, but is Facebook influencing the way people communicate with each other on Christmas? Here are couple of recent studies. 36% of Aussies Send Christmas Greetings Through Social Media. A Recent Study shows that 36% of Aussies Send Christmas Greetings Through Social Media. A survey by telecom giant Optus found out that 36 percent of Aussies send their Christmas greetings using social media such as Facebook and Twitter. 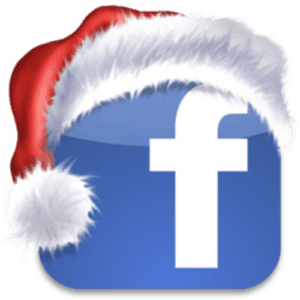 Do you know any good Christmas Card Facebook applications? A Pennsylvania market research company has studied the decline in Christmas card sales over the past five years.According to Pam Danzinger, of Unity Marketing in Stevens, Pa., among the people who bought greeting cards, 77 percent bought Christmas cards in 2005. Last year, that number dropped to 62 percent. Danzinger said that social networking sites are one reason for the change, but research found that a growing segment of young people are turning to handwritten notes and cards to keep in touch with people. Are you using Social Media to send your Christmas greetings or are still using handwritten cards?